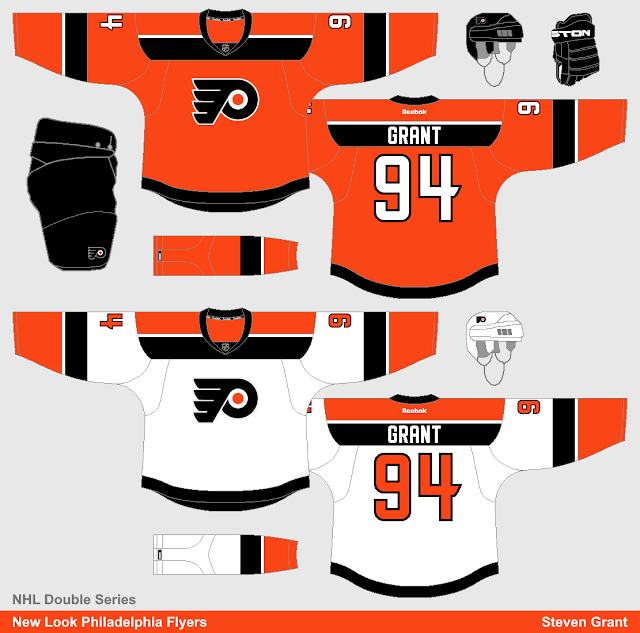 I think the Flyers current jerseys are some of the best in the NHL, so I barely made any changes. 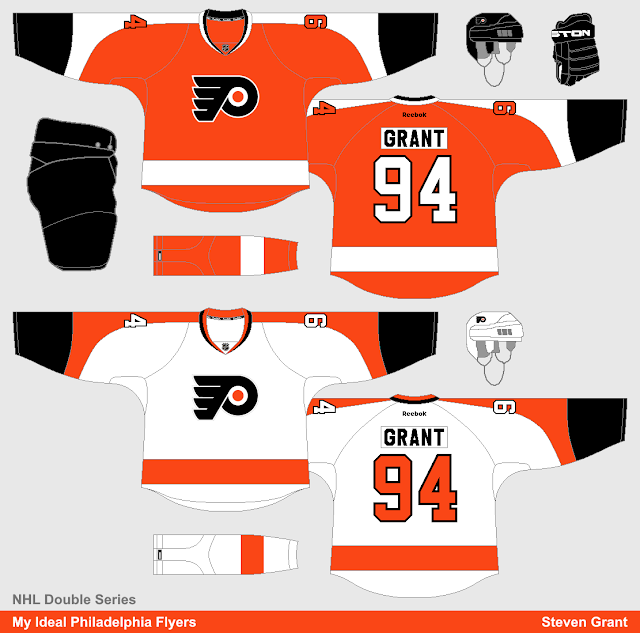 The biggest difference is both jerseys now use a white nameplate, so it only contrasts on the home jersey. I also made the collar inserts the same colour as the rest of the jersey. The New Look concept provided a bit of a challenge, because I didn't want to use their normal sleeve design, but I still wanted it to fit the Flyers identity. I decided to take their contrasting nameplates and make it part of the striping pattern. I then made the end of those black yoke stripes match the shape of the wings in their logo, and did the same with the horizontal part of the four.